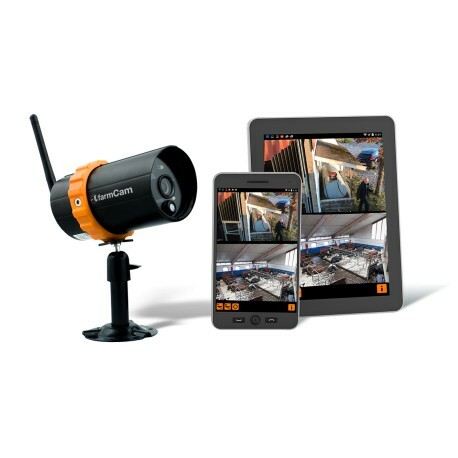 FarmCam IP is a smart camera system that keeps you connected to critical events and locations on your farm wherever you are. A wireless camera system that connects to your WiFi router and works out of the box – view and zoom HD video directly on your smartphone, tablet, or computer through the FarmCam app. Installation takes just 5 minutes. Rugged design, built to last, water-resistant, and comes with a 3-year warranty**.